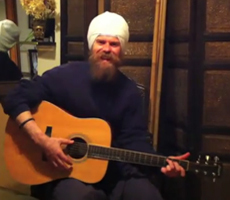 As I was reading Sikhnet the other day, I was intrigued by the long deep breathing application developed by Darhsan Khalsa. Darshan is a highly respected acupuncturist in the Norther Virginia area. I just downloaded the app and totally love it. Immediately I stopped slouching next to my computer and the breathing brings enhanced clarity to mind. I started the app with the default setting and the breathing was pretty quick. Then I slowed the app down and the breathing become really slow. For 99 cents this is a really nice tool and a great way to relax. This link will open the itunes application on your computer. Let me know how you like the app. 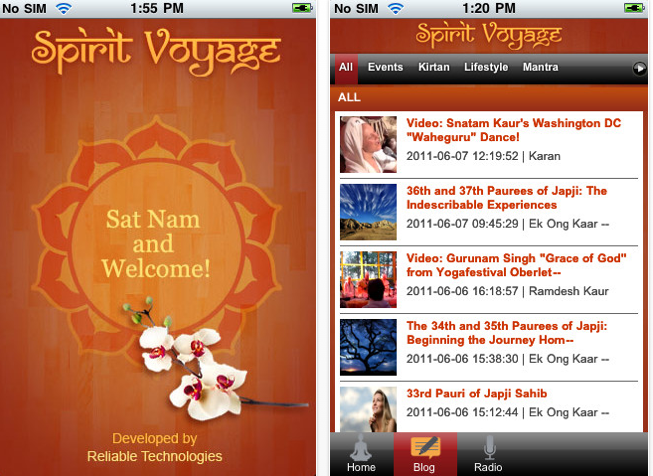 The Official iPhone App for Spirit Voyage is Here! 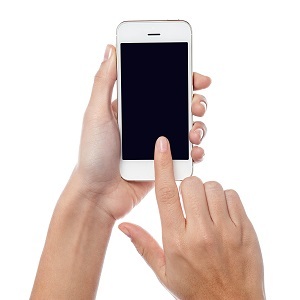 Kundalini Yoga: There's an App for That!